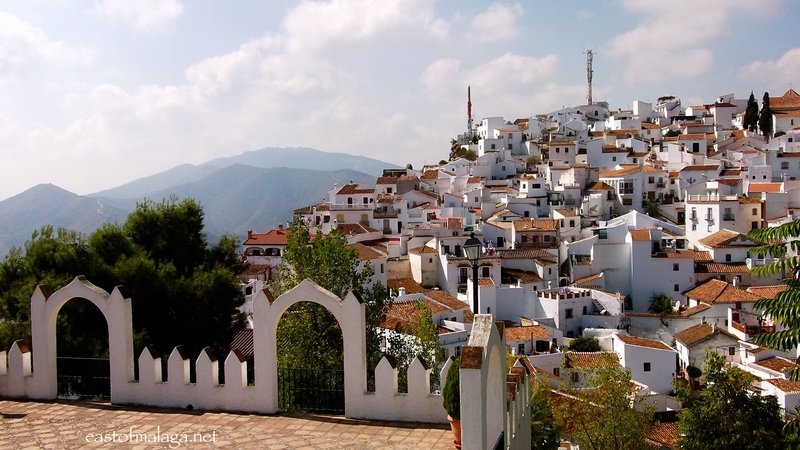 Being one of the highest white villages (pueblos blancos) in Andalucía at 739 metres above sea level, the village of Comares can be seen for miles around, perched high on its cliff-top position, keeping a watchful eye over the surrounding countryside. 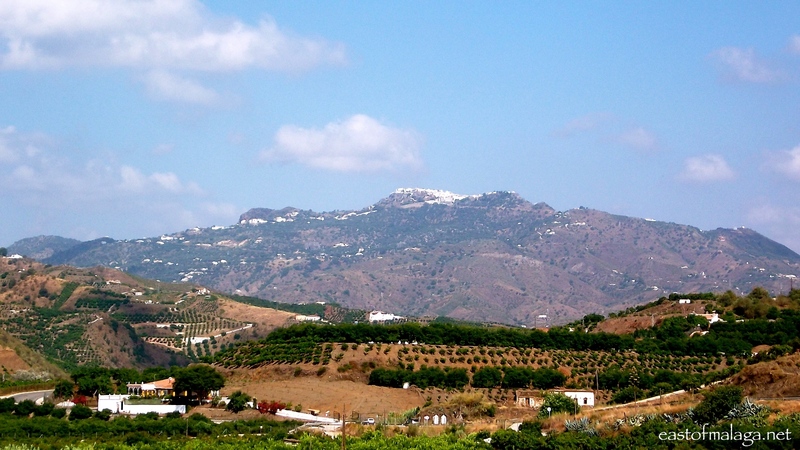 As you wind your way up the road towards Comares, the village keeps appearing and disappearing from view, tantalisingly getting closer and closer with every kilometre – until finally you reach the “Welcome to Comares” sign. 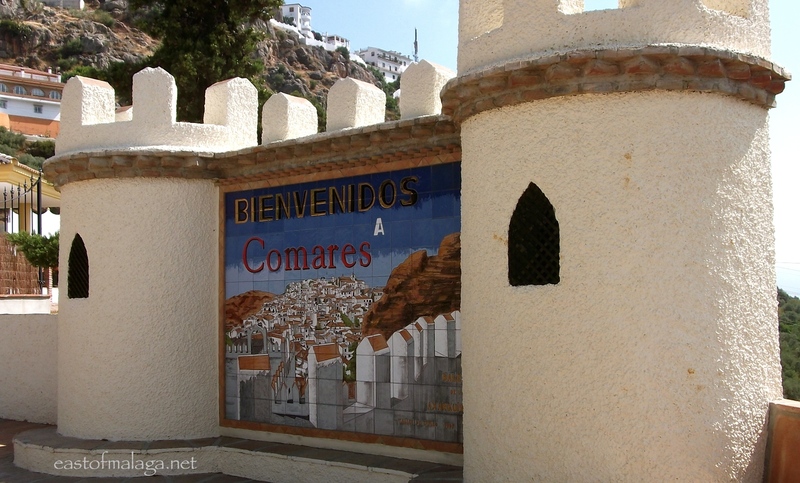 Once you reach the main square (Plaza del Balcón) you will see a series of beautiful tiled murals depicting the history of Comares and, it’s from here that you can follow a circular walk around the village marked by ceramic footsteps set into the stone paving. 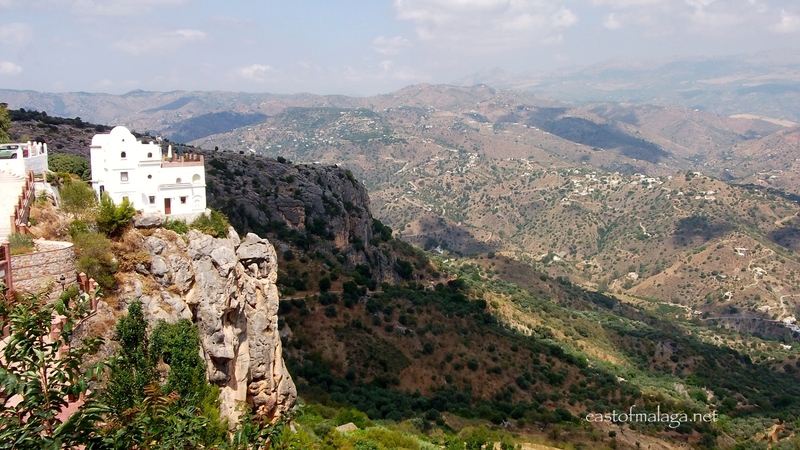 The footsteps lead to the main historic sites of Comares and to spectacular viewing points. 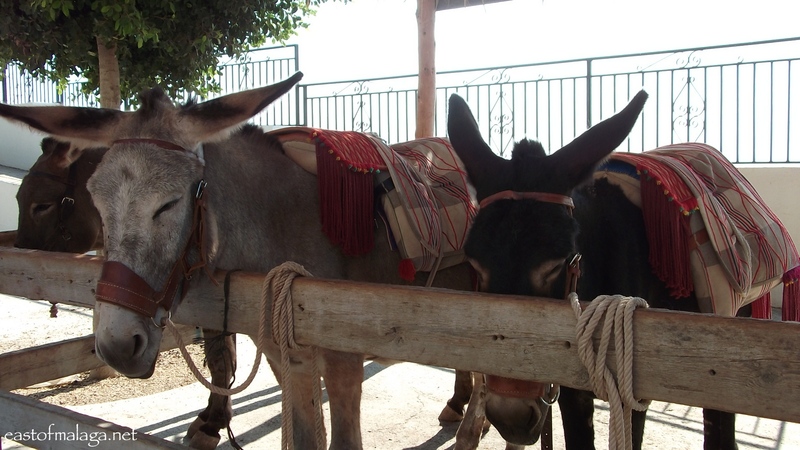 The walking route takes around an hour, and is steep in places but, if you don´t want to walk, you could always take a donkey taxi (burro taxi) ride around the village! 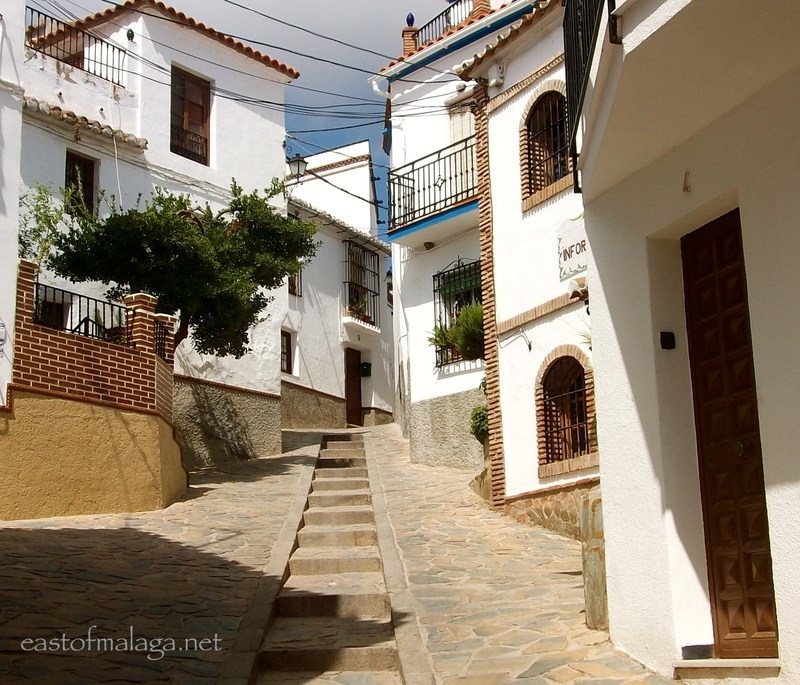 As you wander around the narrow streets you may find yourself invited into the home of one of the Spanish ladies who sell local produce such as wine, almonds, avocados, raisins, olives or honey. Some of them are very persistent sales-women! 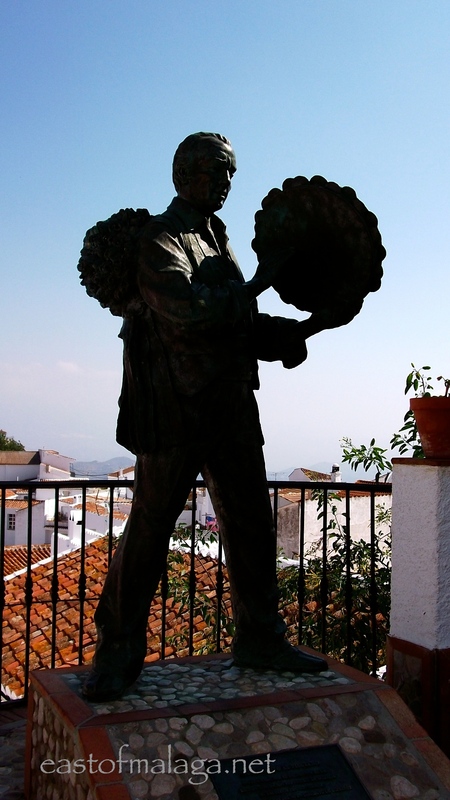 One of the interesting places the ceramic footprints lead you to is the Plaza de los Verdiales, where there is a beautiful tiled mural, plaque and statue to commemorate the Panda de Verdiales – a band of local men playing lively music. The village name Comares originates from the Arab word for castle – Qumarix. The first fortress was built here by the Romans, but the history of the village is pre-Roman with the main traces of occupation being Arabic. When the Moors invaded Comares they made full use of its excellent location and developed the town into one of the areas principle defensive strongholds. 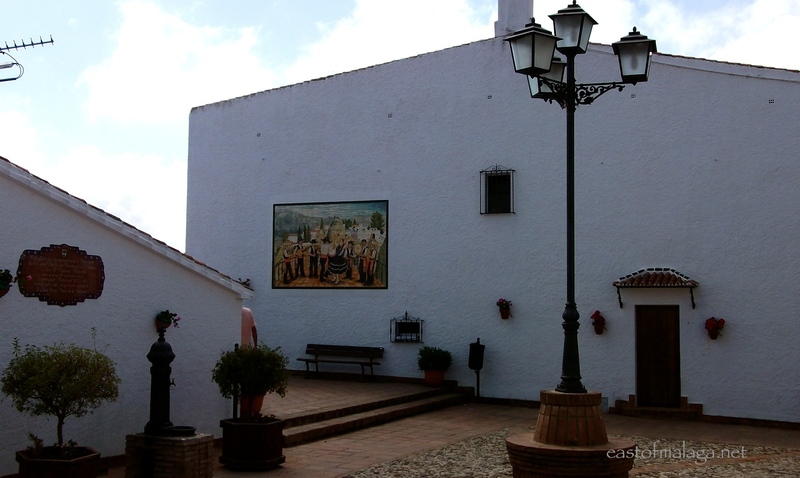 Comares is known with good cause as the “Balcony of La Axarquía”. One of the highest points of the village is the cemetery (cementerio municipal), from where there are magnificent views over the surrounding countryside. It´s well worth a look! 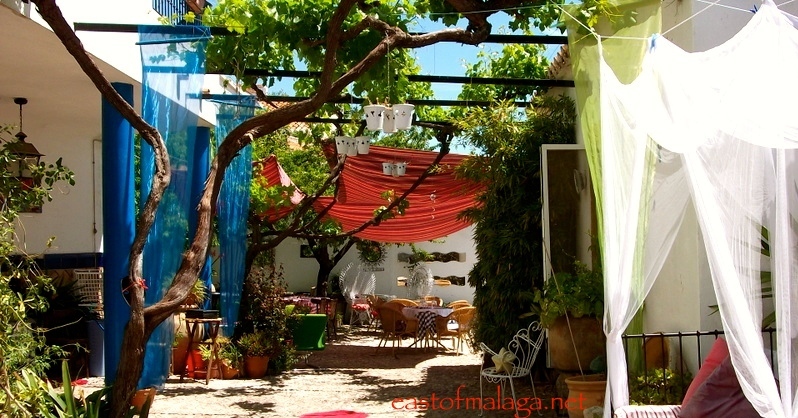 Finally, if the steep streets have taken their toll, you could always stop and have lunch or a cool drink in the beautiful courtyard of El Molino de los Abuelos in the main square. To really enjoy the views that Comares has to offer, make sure to go on a clear day. 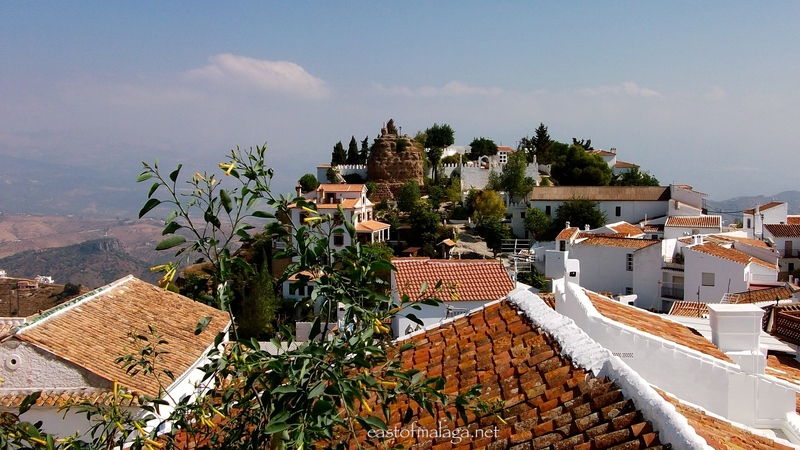 Summer skies are often hazy, so an autumn or winter day is probably best for a visit – though if you´ve been to Comares once, you´ll want to go back again! You can read more about the village of Comares, HERE. Follow the A7/E15 autovía, east of Málaga, to km 272 and take the exit signposted for the A356 towards Vélez-Málaga. Stay on the A356, bypassing the town and, after a few kilometres, turn left at the junction signed towards El Trapiche. You’ll see the first sign-post for Comares as you approach that turn off – then just follow the signs – though, be warned, there aren´t many!